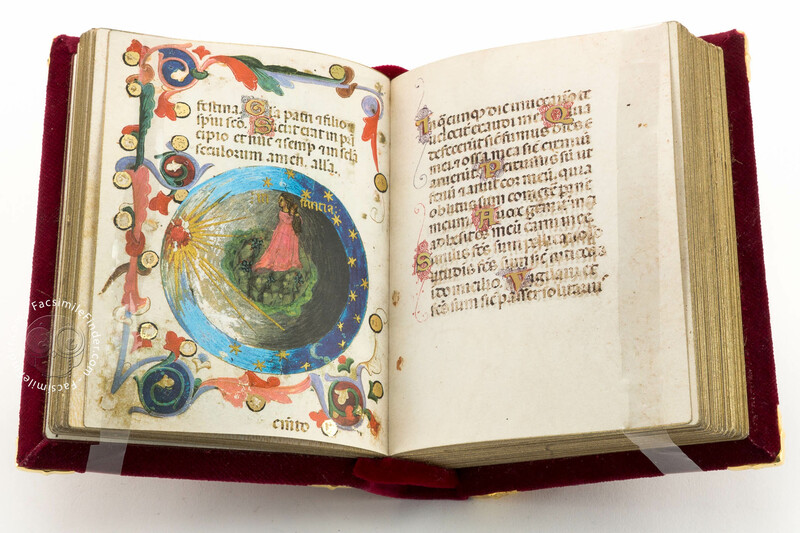 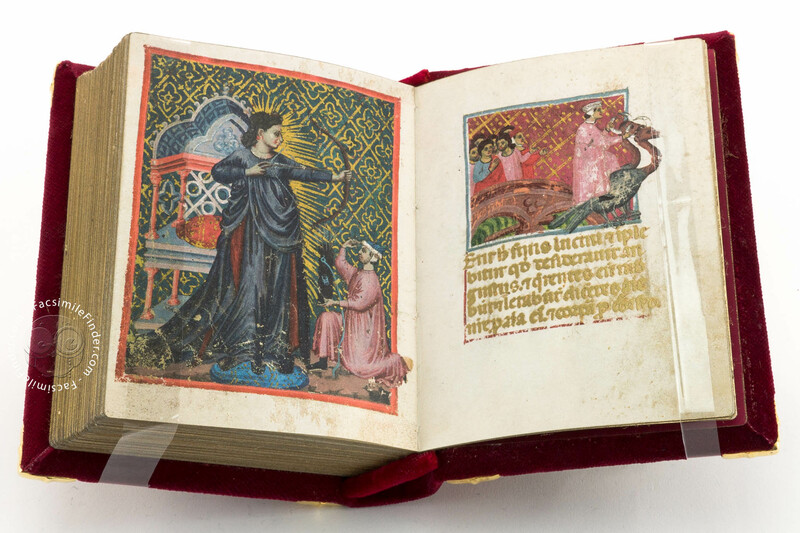 Francesco da Barberino's Officiolum is a Book of Hours that stands out in the history of the book genre because it is probably the most antique Book of Hours produced in Italy. 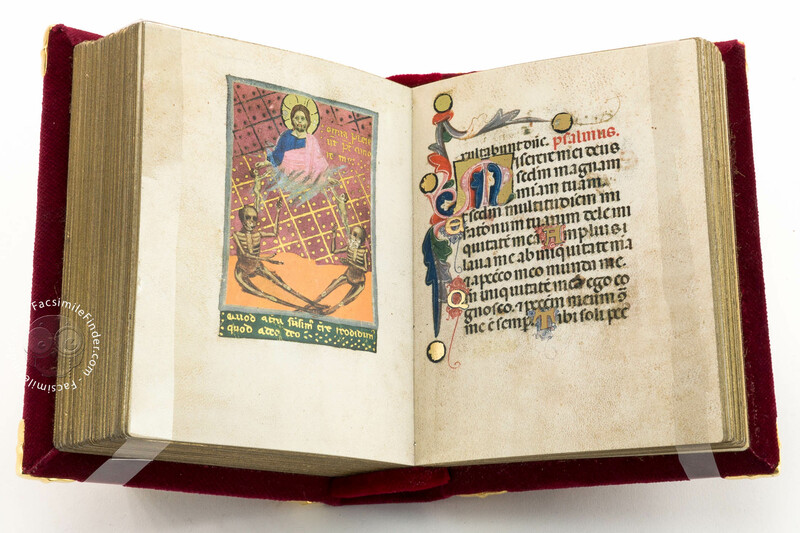 Made between the years 1304 and 1309, the manuscript is relatively small, measuring only 140 X 105 mm. 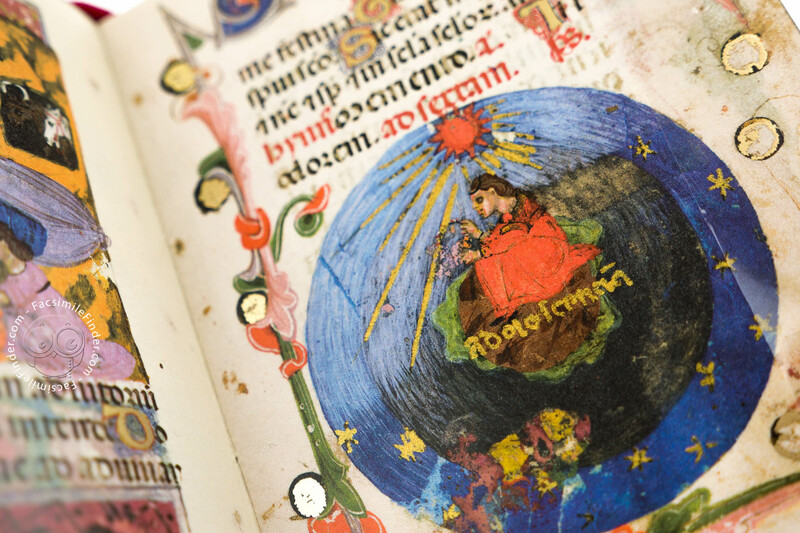 Francesco da Barberino's Officiolum was thought and realised as a jewel. 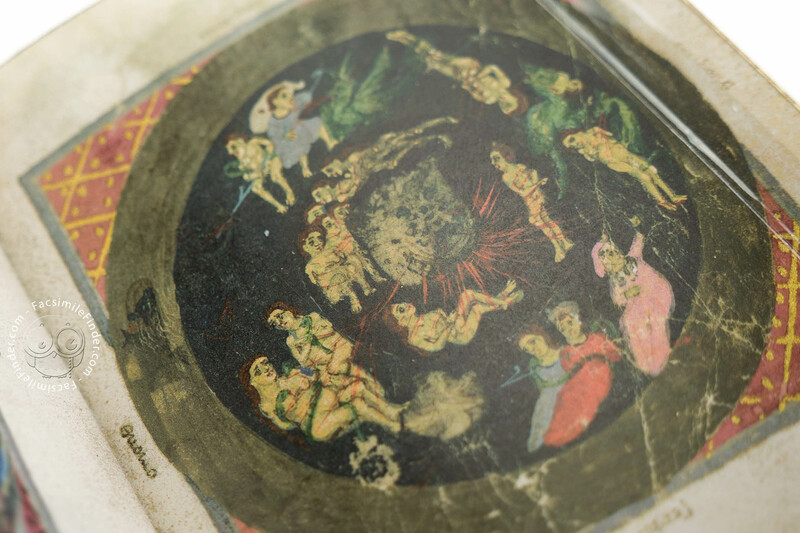 The miniature cycle is impressive for its extension. 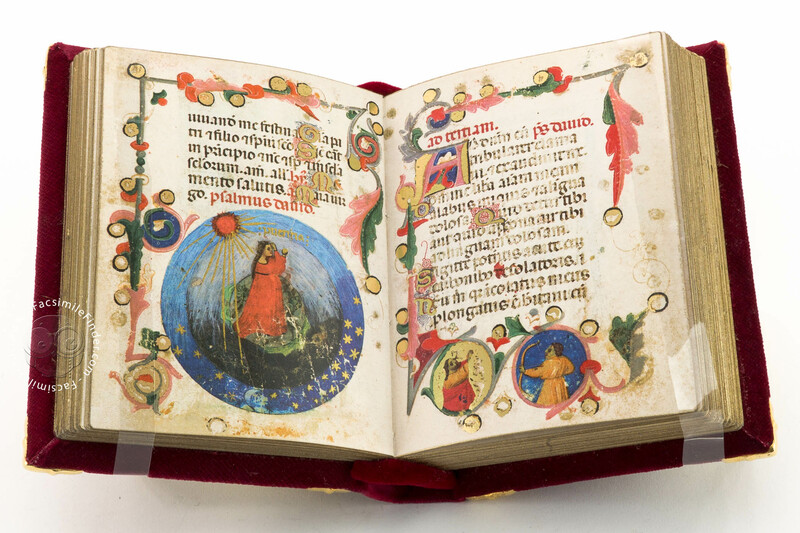 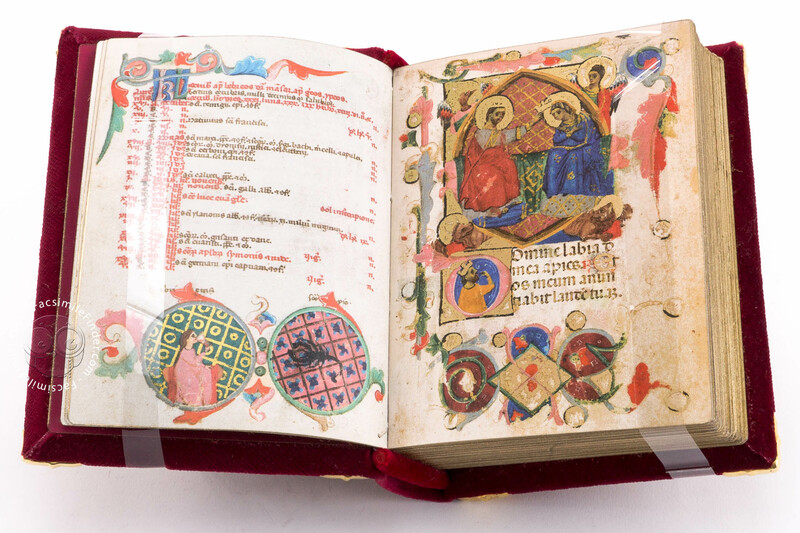 In fact, out of the 174 folios of the manuscript 70 folios are illuminated. 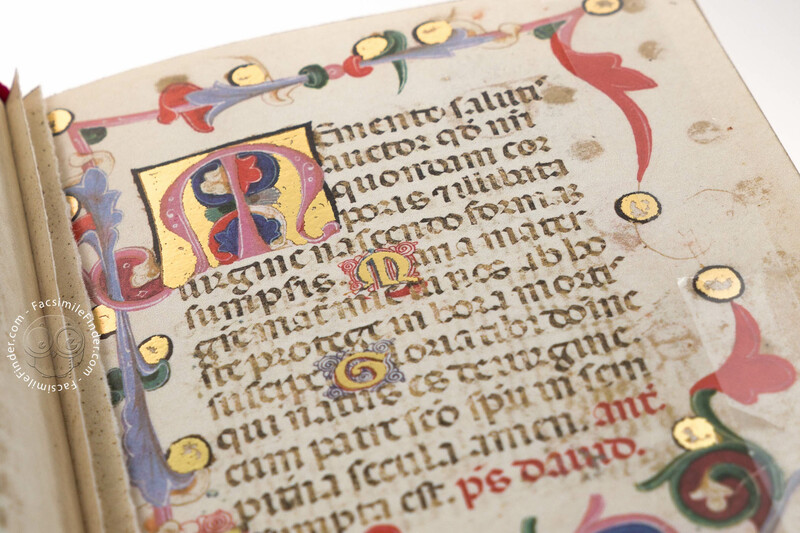 The pages display fine and elaborated initials that are endowed with laceworks in red or blue, and gold leaf. 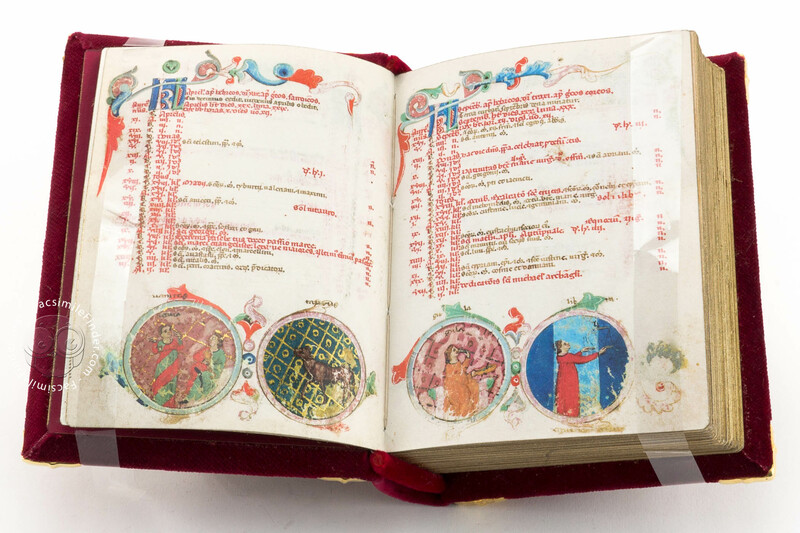 Some final pages (fols. 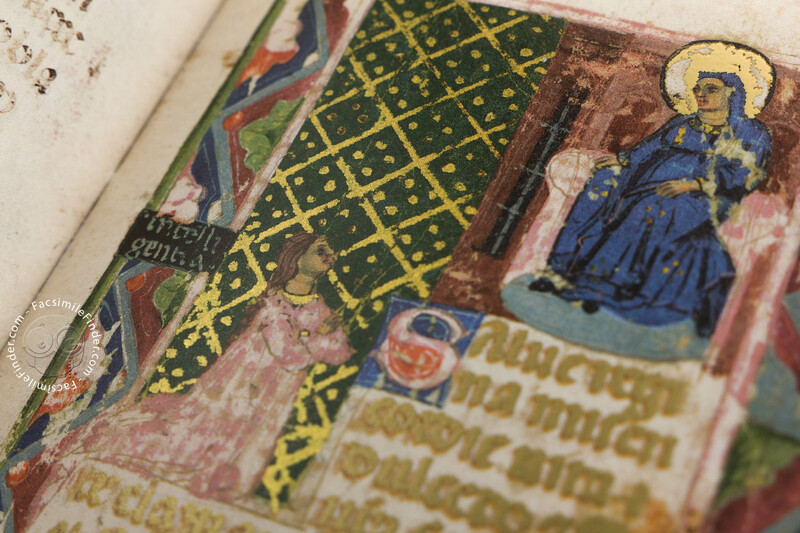 165—172v) are entirely written in burnished gold. 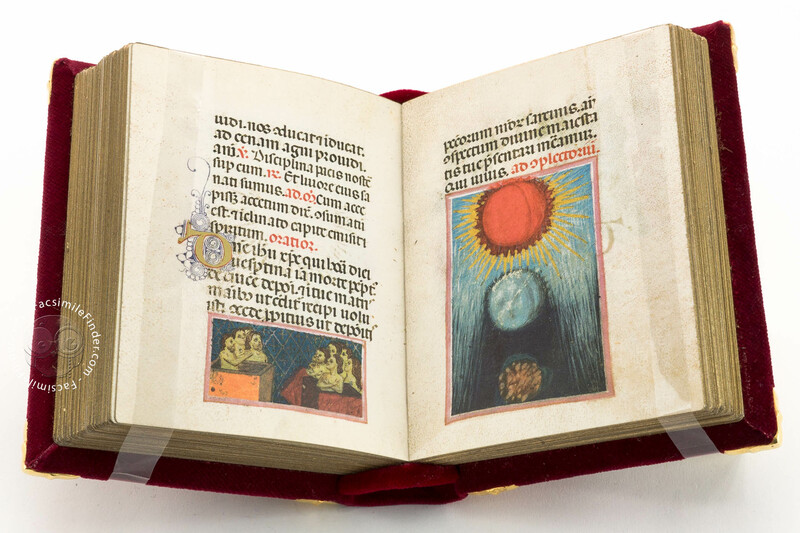 Along with the canonical prayers, the book contains an allegoric treatise on Hope, an original and unknown work by Francesco da Barberino. 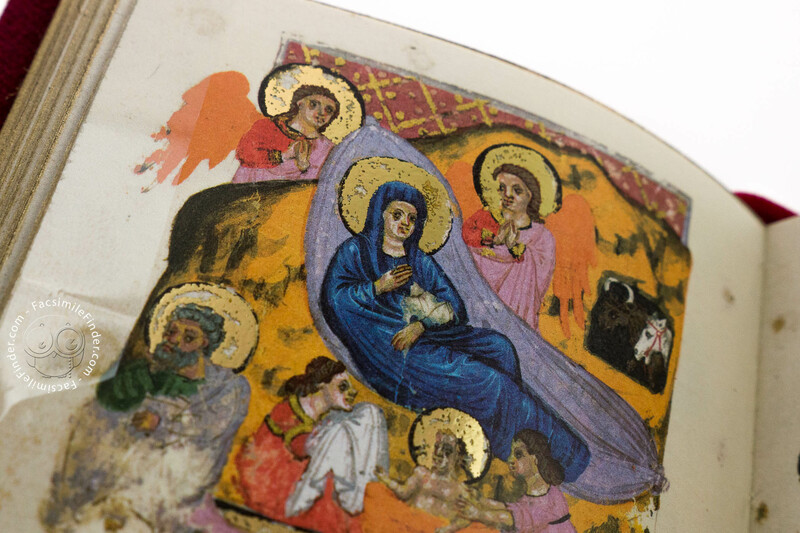 He directed the work of the illuminators, selected among the most talented painters of Romagna and Veneto. 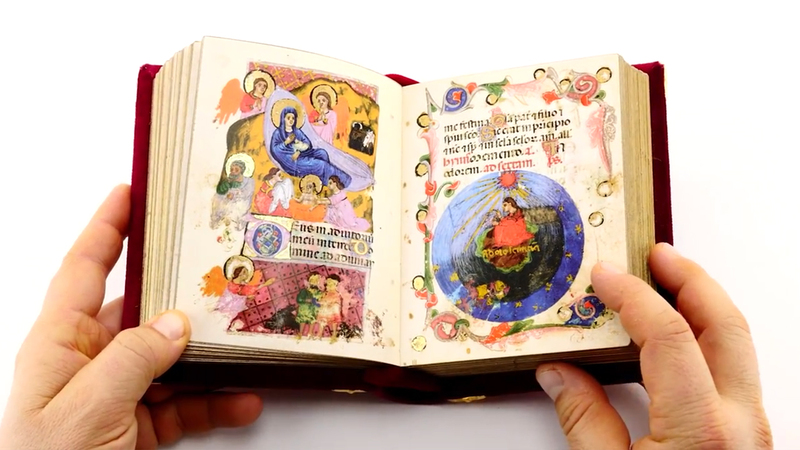 The book is remarkable for its iconographic invention, which shows the need to make text and image thoroughly complementary. 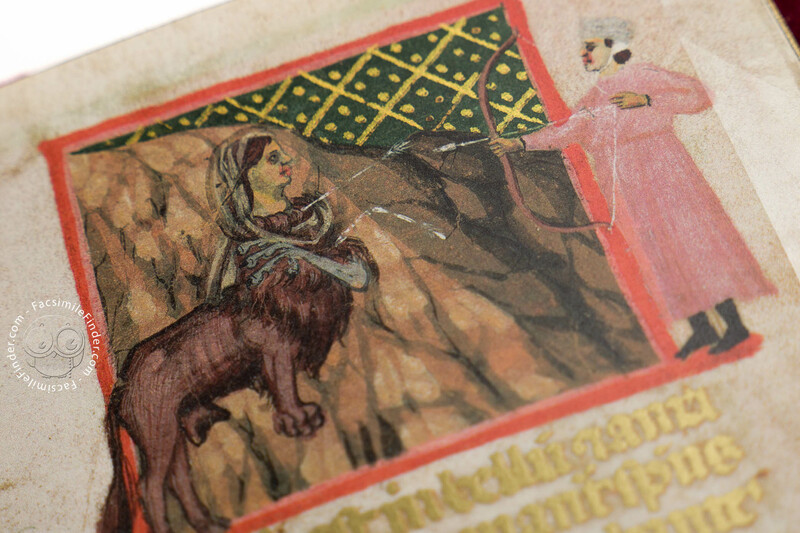 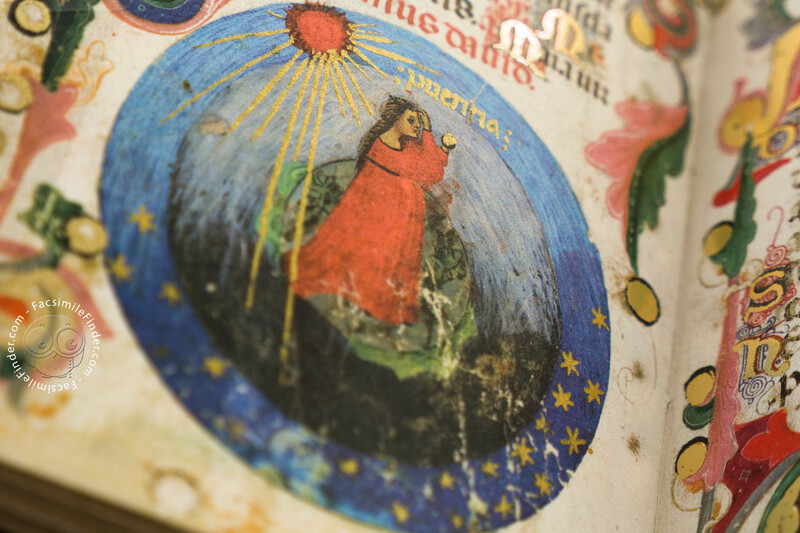 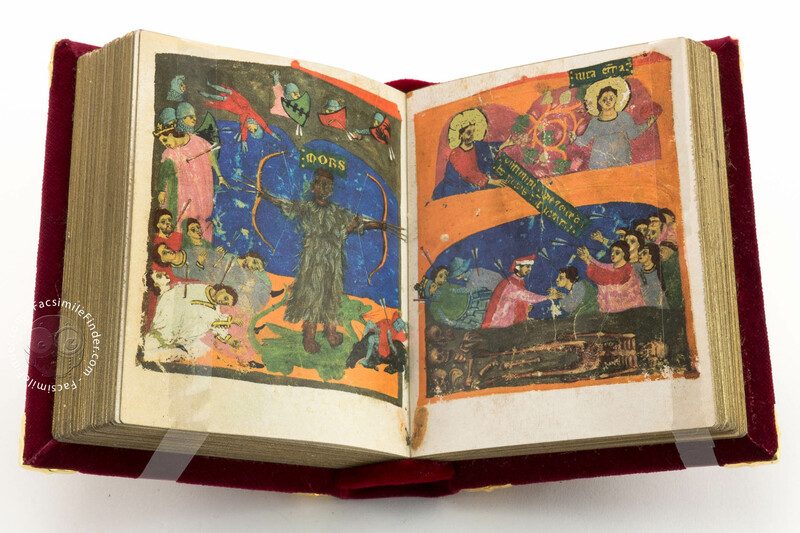 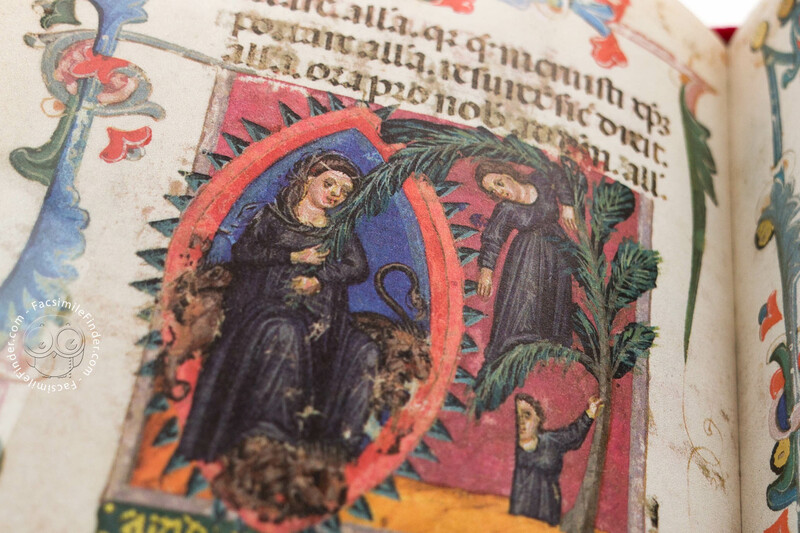 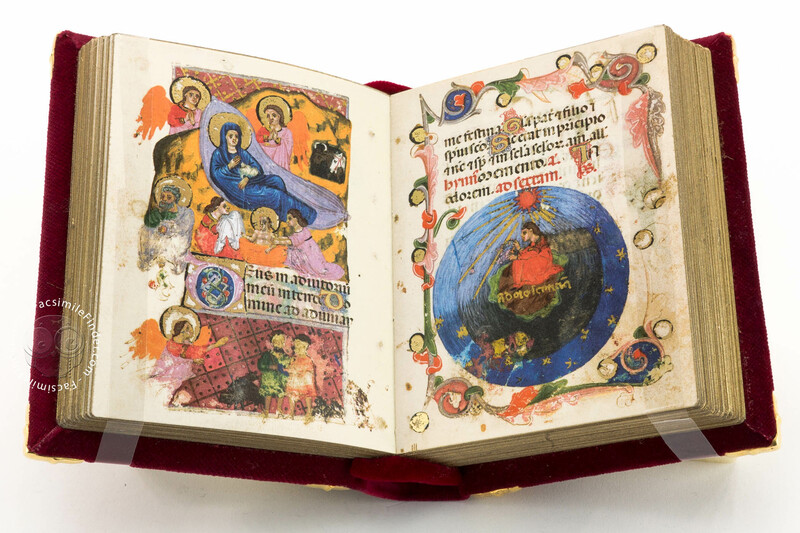 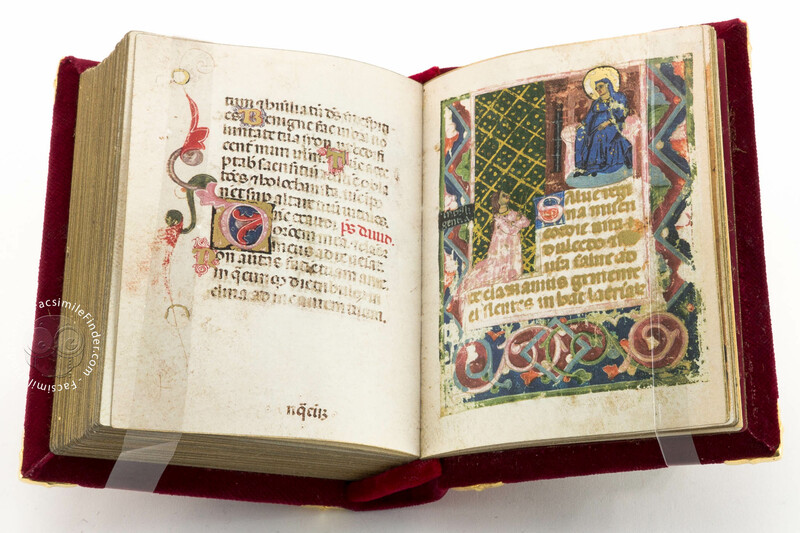 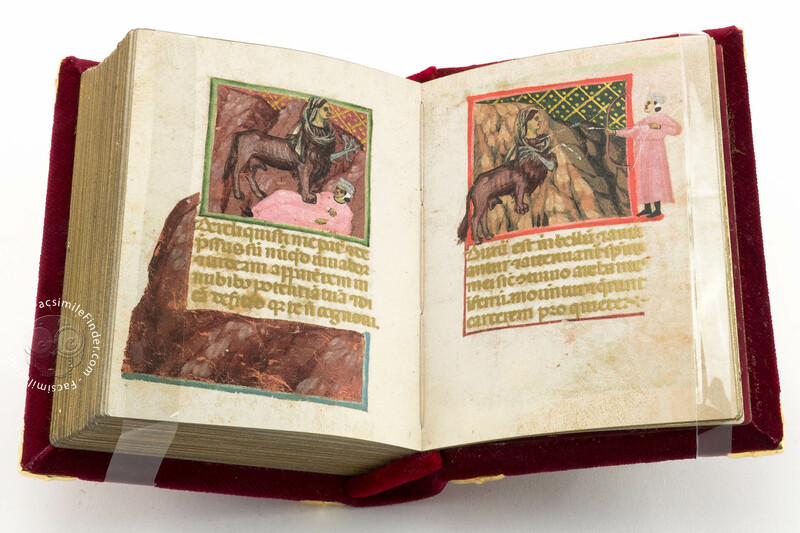 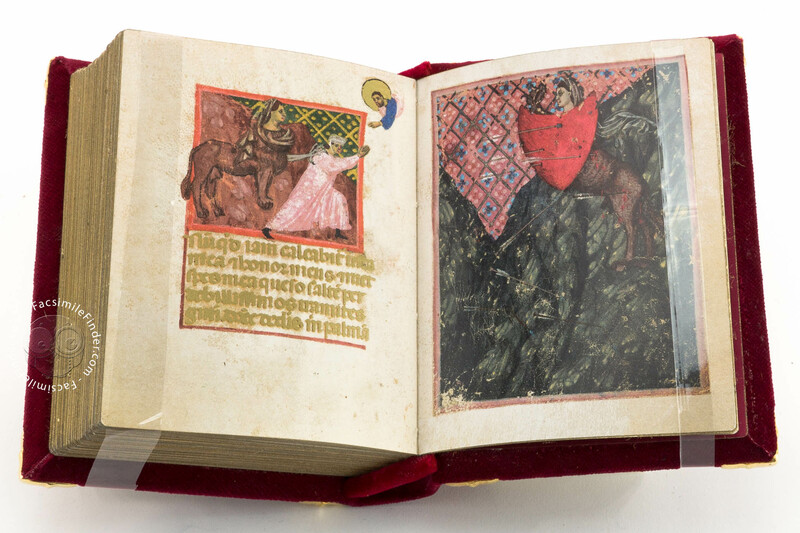 Despite the limited size of the book, the illuminators were able to present extremely detailed miniatures. 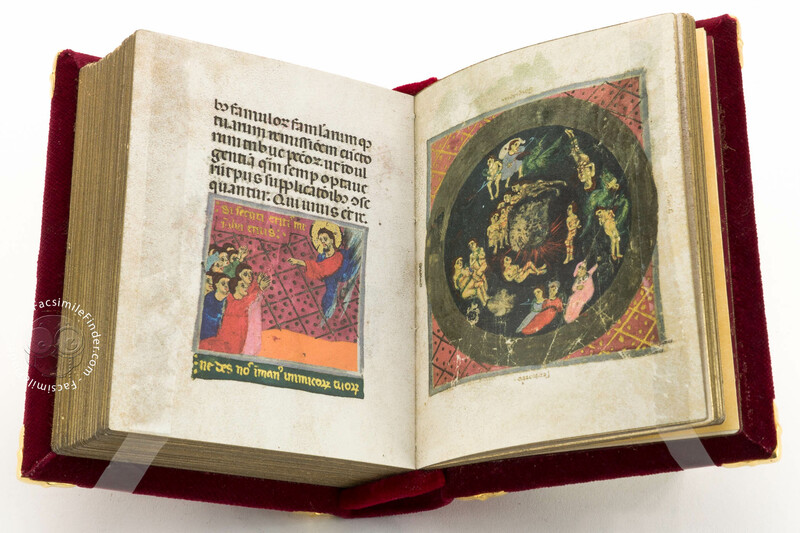 They enriched the devotional text with iconographies related to philosophical and moral concepts of the Late Middle Ages. 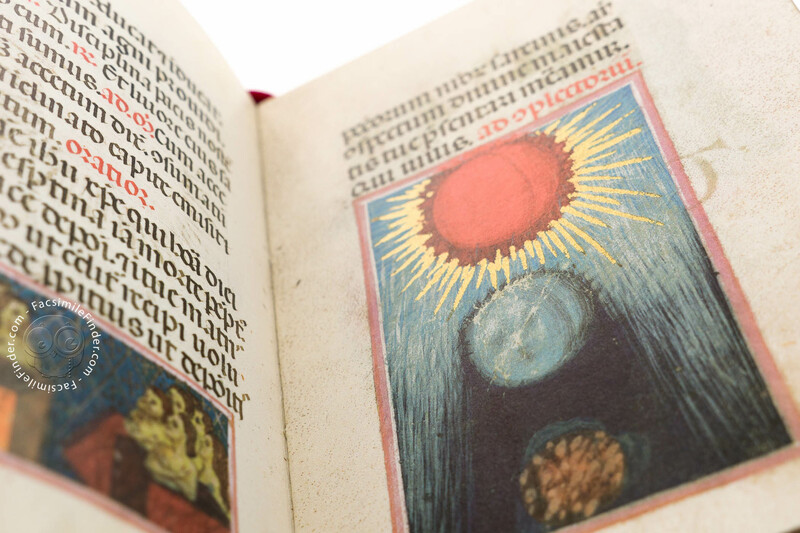 They represented the world and the underworld in ways comparable to the imaginary of the cosmos provided by Dante in the Divine Comedy. 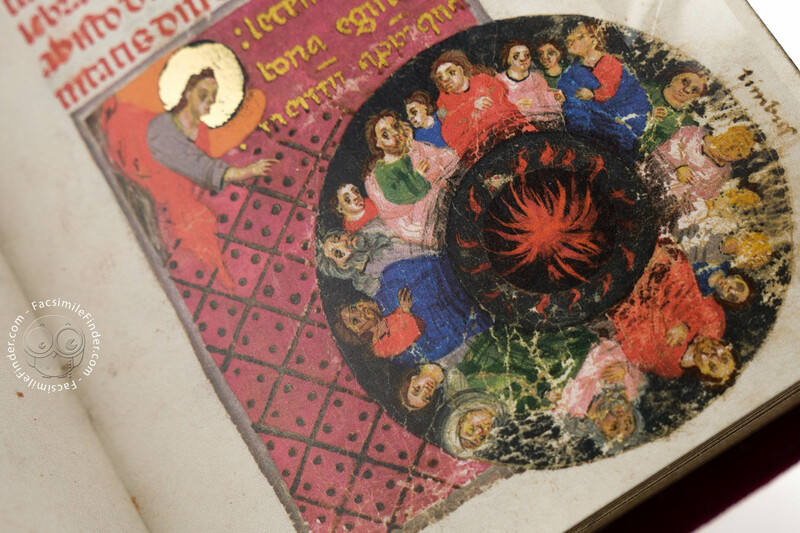 Lost for centuries, this manuscript has been recently found and the discovery welcomed as an extraordinary event. 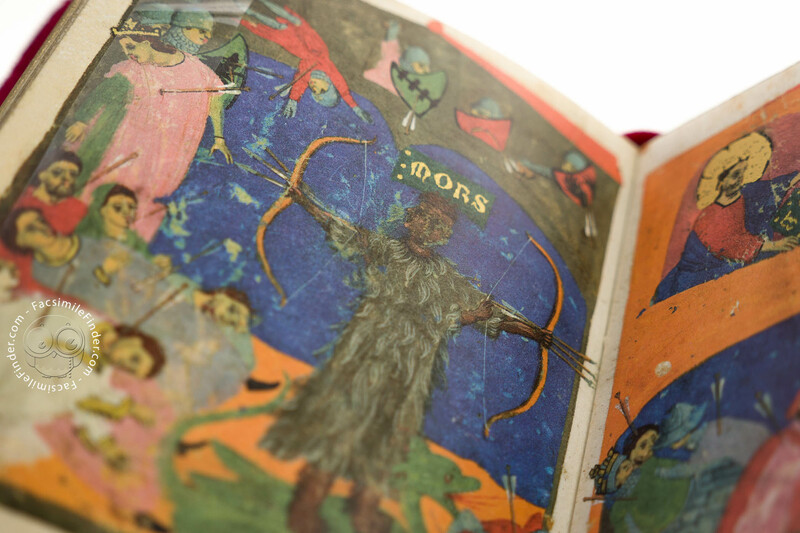 The richness of the decoration of the book is only one of the reasons of its relevance. 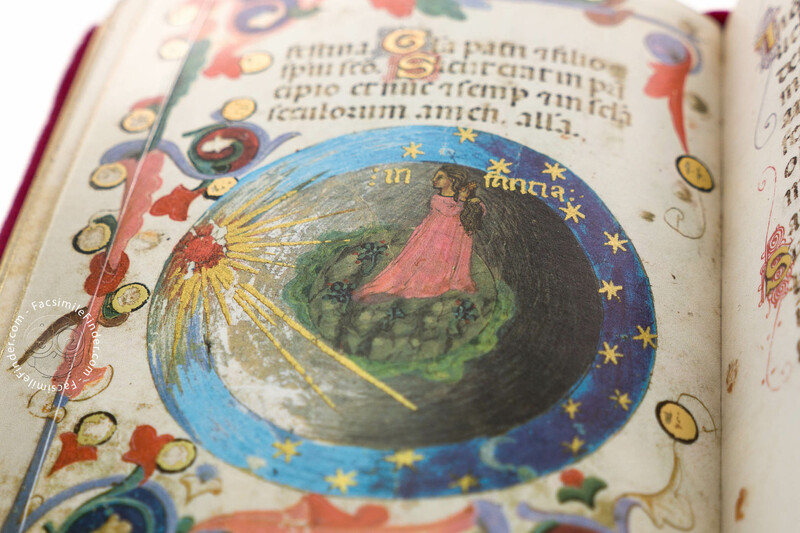 The Officiolum made by Francesco de Barberino is a rare example of a manuscript discussed in its meanings and making in another work. 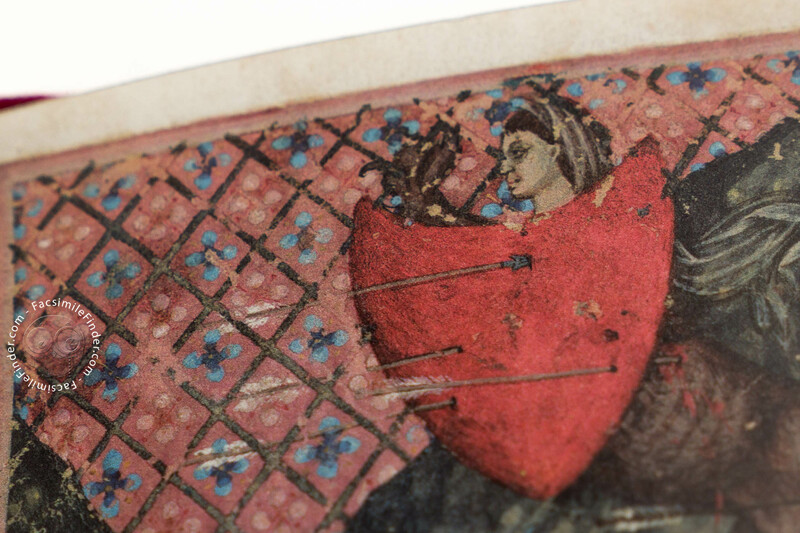 Francesco de Barberino wrote a Latin commentary to the Documenti D’Amore explaining the importance of enriching the verbal exposition with an abundant visual apparatus. 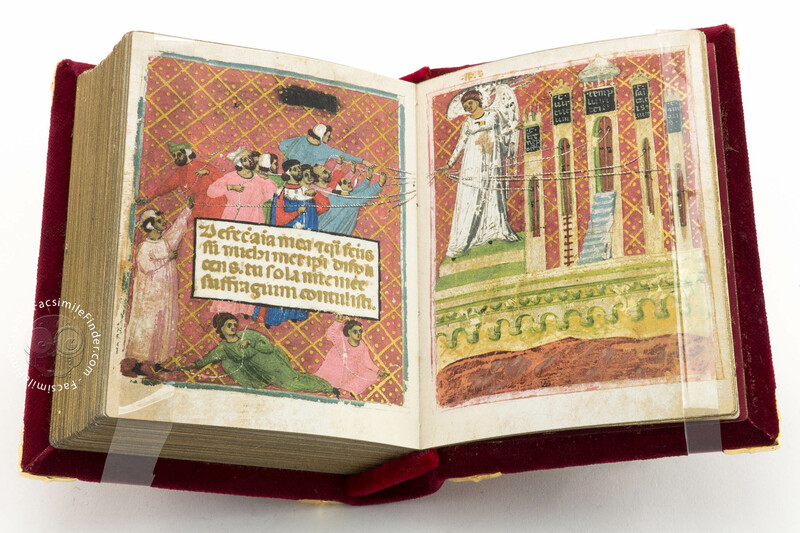 The pictures help the author to communicate to the reader. 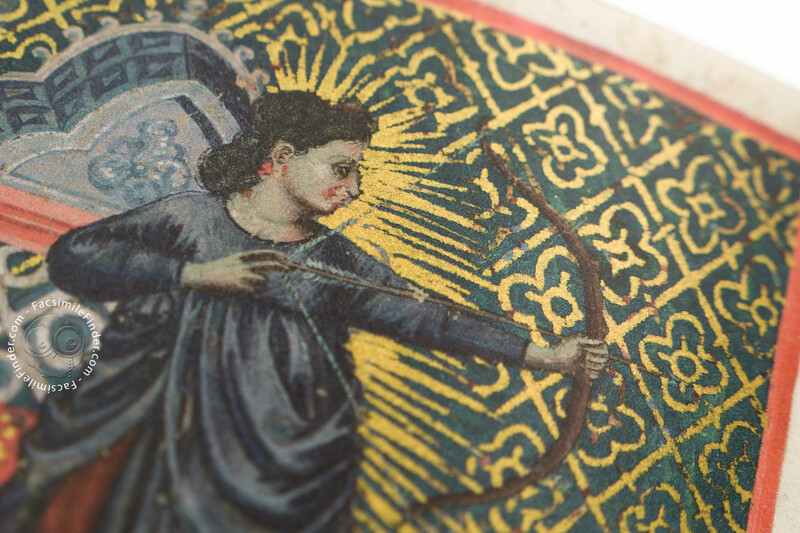 Francesco da Barberino supported his arguments providing examples of some allegoric figures that were originally conceived for the Officiolum. 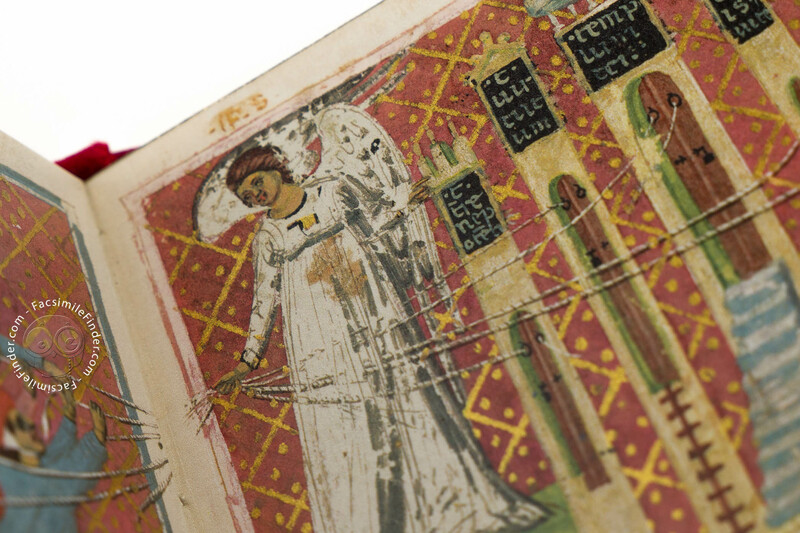 Manuscript book on parchment − 14.0 × 10.5 cm − 348 pp. Full-size color reproduction of the entire original document, Officiolum of Francesco da Barberino: the facsimile attempts to replicate the look-and-feel and physical features of the original document; pages are trimmed according to the original format; the binding might not be consistent with the current document binding. 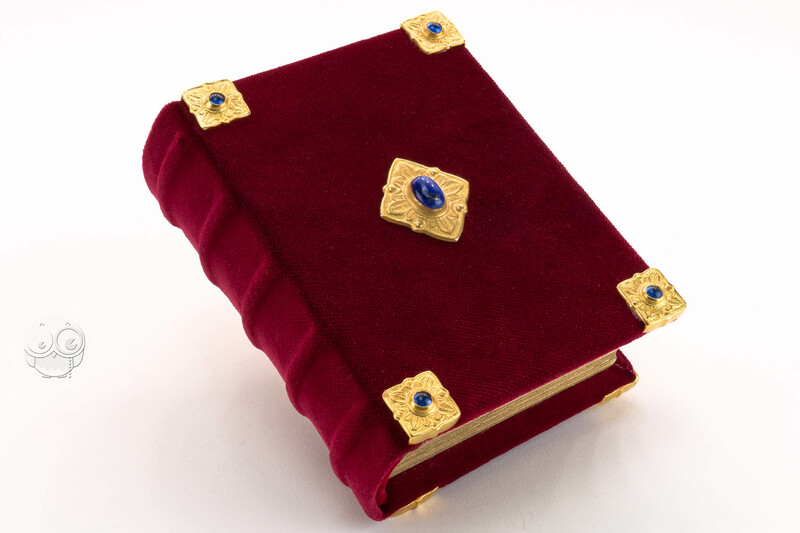 Hand-bound red velvet with capitals and cuts in conformity with the original color, veins on the back and gold tooling (24 kt) with gems on the plates; in wooden case.